Personalized 14K Gold Filled or Rose Gold Filled Horizontal Bar Necklace. 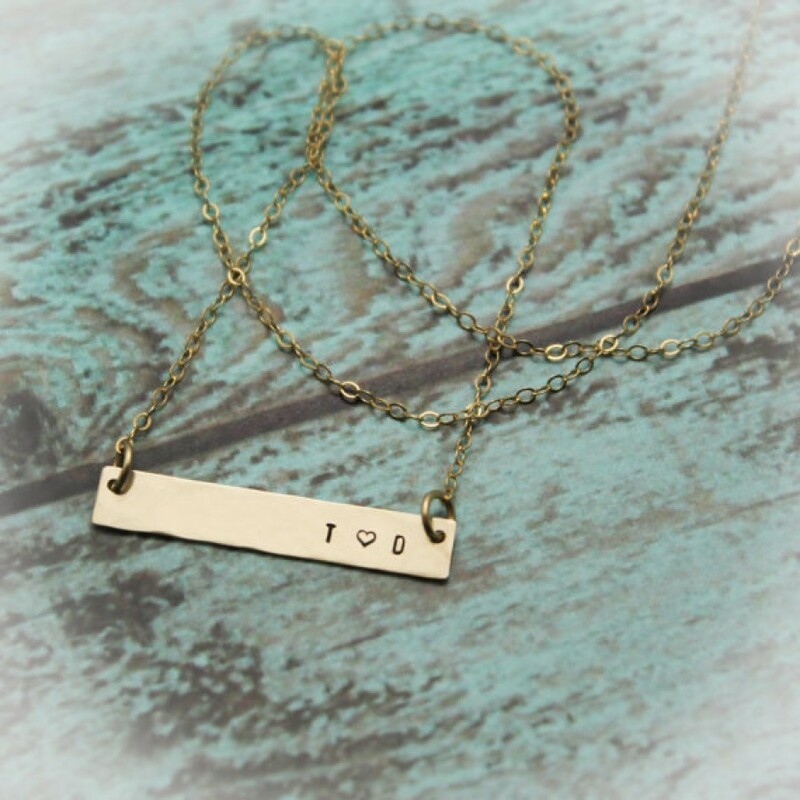 This gold necklace features a 1/4" by 1-1/4" rectangular tag that can be personalized with a name or nickname, initials, or a short message. The tag is attached to a 14K gold filled link chain. 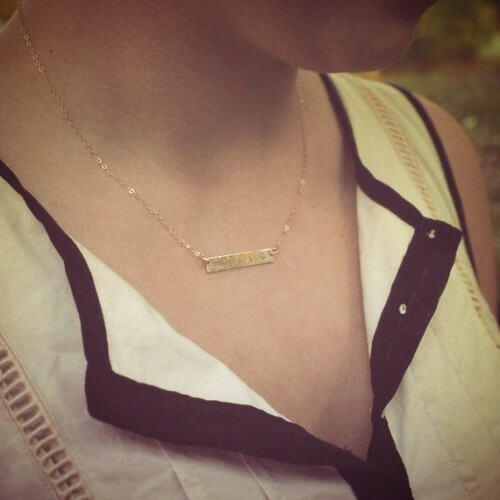 This bar necklace has a classic elegance that compliments any style. 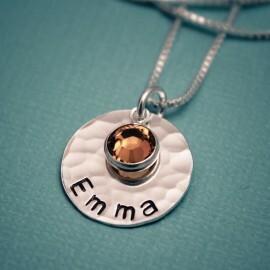 Name plate necklaces also make great gifts for Mother's Day, Christmas, and weddings. 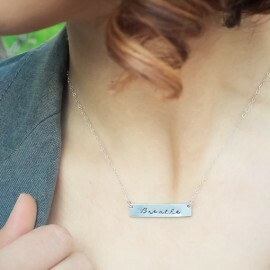 Order one for someone special, or personalize one as a treat for yourself. Choose the length of your chain in the drop down menu. 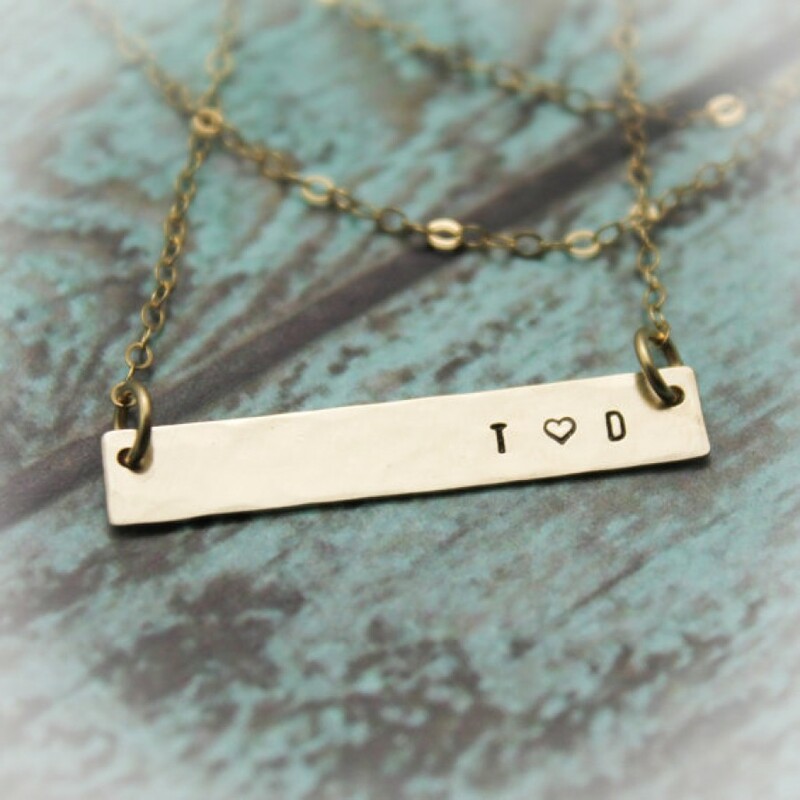 Each piece is hand stamped which creates a unique and organic feel. There may be slight variations in spacing because each letter is done individually. Chain will be a link chain that matches.